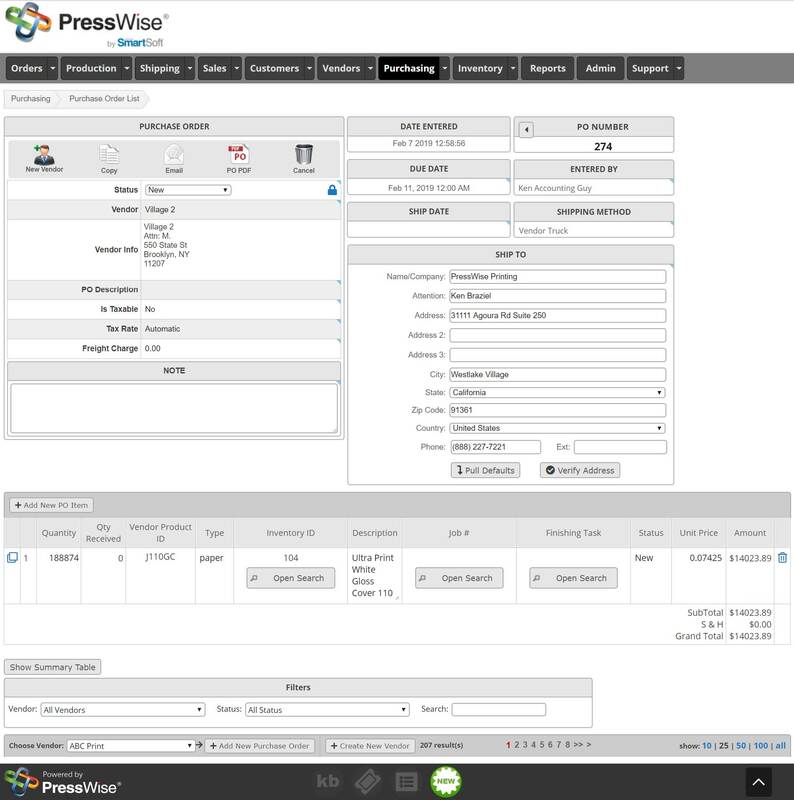 Take control of your paper inventory and other customer fulfillment items with PressWise’s Inventory Management tool. With instant access to quantities on hand and on order, you can always be sure that you have enough inventory to meet customer deadline requests, and avoid rush order fees from vendors by promising customer delivery dates that cannot be met given current inventory quantities. The PressWise Inventory Management feature keeps all of your inventory and vendor information in a single, central location, so employees can easily locate the right vendor, generate a Purchase Order, and email it to the vendor from within PressWise. This eliminates touches, making you more efficient, and ensuring deadlines are met and customers are happy. Customers can also see inventory levels of any fulfillment items from within their custom storefronts, so they’ll know when to reorder from you, cutting down on the need for rush orders, relieving the pressure on both you and your customer.